The Justice Department says Monica Witt defected to Iran and helped its cyberspies target her former compatriots in the U.S. Air Force. Monica Witt, who was born and raised in Texas, allegedly provided Iranian security officials with the code name and classified mission of a U.S. Defense Department special access program. Prosecutors say she also did research to help Iranian authorities target her former co-workers within the American intelligence community. Four Iranian nationals were named in the same indictment with Witt. They face charges including conspiracy, computer intrusions and identity theft targeting Witt's former colleagues. "Our intelligence professionals swear an oath to protect our country, and we trust them to uphold their oath," said Assistant Attorney General John Demers, who leads the Justice Department's National Security Division. "But every great while, one of these trusted people fails us." Witt, 39, served in the Air Force from 1997 to 2008, records show, rising to the rank of technical sergeant. Shortly after joining the military, Witt studied Farsi at the U.S. Defense Language Institute in California before deploying overseas for four years to conduct classified missions collecting signals intelligence. During her time in the military, she had top-secret clearance, the indictment says, which gave her access to intelligence materials that contained the real names of American sources and clandestine agents. After leaving the armed forces in 2008, Witt worked as a contractor for two years, officials said. Her work for the government ended in 2010. Witt traveled there in February 2012 to attend the New Horizon Organization's "Hollywoodism" conference, the indictment says. That event, which court papers say is sponsored by the Iranian Revolutionary Guard Corps, promotes an anti-American viewpoint. Around the same time, Witt appeared in at least one Iranian video in which she criticized the U.S. government. 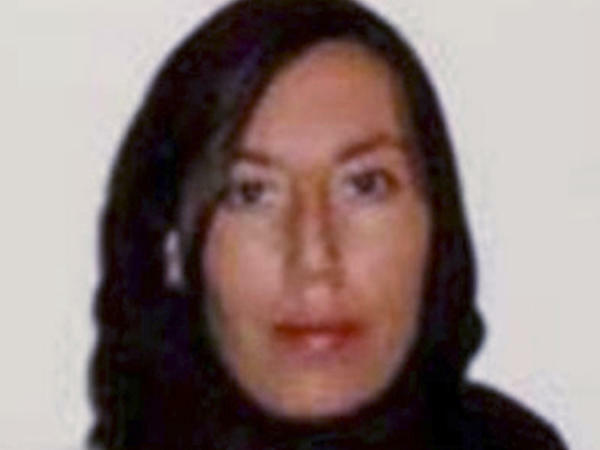 After Witt returned to the U.S., FBI agents conducted a defensive briefing with her to warn her that she might be the target of recruitment by Iranian security services. Witt told the federal agents that if she returned to Iran, she would not provide any information on her past work for the American government. That summer, a dual U.S.-Iranian citizen who is identified as "Individual A" in the indictment hired Witt to be her assistant on an anti-American propaganda film. Prosecutors say that Individual A worked as a spotter and assessor for Iranian intelligence. In 2013, Witt traveled to Iran for that year's "Hollywoodism" conference. She met with Revolutionary Guards representatives and declared her desire to immigrate to Iran, according to the indictment. She eventually did, with help from Individual A, in August 2013. FBI officials said Wednesday that they believe Witt's motives were ideological. Once in Tehran, Iranian authorities provided her with housing and computer equipment, the indictment alleges, and she began work on behalf of Iran. She also conducted online research, including on Facebook, to create information "packages" on her former colleagues in the U.S. intelligence community. In short, she worked up dossiers about them that outlined who they were and what kind of work they might have been doing. Four Iranian nationals — Mojtaba Masoumpour, Behzad Mesri, Hossein Parvar and Mohamad Paryar — were charged with those activities in the same indictment as Witt. Iran and the United States are longtime cyber-antagonists. Iran's nuclear program was the target of the U.S.-Israeli computer sabotage weapon Stuxnet, for example, and Iran has been blamed for a number of cyberattacks against the U.S. and its allies, including Saudi Arabia. The Justice Department says a former American counterintelligence specialist has defected to Iran. Monica Witt was in the U.S. Air Force for more than two decades. Now she faces charges of espionage according to an indictment that was unsealed today. NPR justice reporter Ryan Lucas is here to tell us more. Hey there. KELLY: So this is quite the tale. What more can you tell me about Monica Witt? LUCAS: Well, she's 39 years old, originally from El Paso, Texas. She joined the Air Force back in 1997, underwent language training - that's where she learned Farsi - deployed overseas for several years, spent much of that time on classified missions collecting what's known as signals intelligence. She was a counterintelligence specialist for the Air Force. That gave her top secret clearance, access to some very sensitive classified information. She ultimately left the military in 2008, worked as a contractor in the private sector for a couple of years. But she was out of government work altogether by 2010. And it was after that that she allegedly began pursuing a relationship of sorts with Iran. She ultimately defected in 2013, and she's believed to be there now. KELLY: And why? Did she have ties to Iran? What was going on here? LUCAS: Well, the indictment tells a really intriguing story. And what it boils down to is this. She traveled to Iran in 2012 and 2013. These were a couple of all-expenses-paid trips to attend an anti-American conference that prosecutors say was sponsored by the Iranian Revolutionary Guard Corps. And while she was there, Witt makes appearances in a couple of propaganda videos. She ultimately ends up striking up a correspondence with a dual U.S.-Iranian citizen who is only identified as Individual A. They worked together on a propaganda film here in the U.S. that's aired back in Iran. Now, Individual A is an - a very interesting figure here. The indictment says she was engaging in activities that look a lot like someone who is spotting and assessing people for possible intelligence recruitment. Witt and Individual A remain in frequent contact. Chunks of their messages are actually cited in the indictment. Individual A gets in touch with Iranian officials on Witt's behalf. And then in August of 2013, Witt flies from Dubai to Tehran. Before the flight, she sends a note to her pen pal saying she's, quote, "coming home," smiley face. KELLY: OK - so many questions here. KELLY: Let me go with this one. She lands in Iran, and do we know what information she allegedly shared? LUCAS: The indictment says that beginning with the day she landed in Tehran, she disclosed the code name and mission of a highly classified U.S. Defense Department program and the specific target of that intelligence operation. She also allegedly did online research, including using fake Facebook accounts, to create what the Justice Department calls target packages. LUCAS: ...Iranian hackers used that information to help break into Witt's former co-workers' computer networks. KELLY: ...Security perspective. Do we have any idea how much damage the information she allegedly provided may have caused? LUCAS: That's a really good question, and unfortunately I think it's one that we don't have an absolutely satisfying answer on at this point in time. The top national security official at the FBI, Jay Tabb, would not get into specifics when asked that question today. What he did say was that the information that Witt provided could cause serious damage to national security. But the bottom line here is that Witt had top secret clearance. The indictment says that she had access to classified information. That included the details of ongoing counterintelligence operations and, importantly, the real names of sources and the identities of U.S. agents. That is of course all information that would be of interest to a foreign adversary like Iran. KELLY: Very much of interest - NPR's Ryan Lucas, thank you.